Yesterday I bought nearly two pounds of beetroot. I like beetroot, but I got a little bored by the way I usually eat them boiled in their skins, then peeled and grated with a little sugar and some vinegar. That is a nice way to eat them, but I wanted something different. So I decided to roast them. It's easy and very tasty. Roasting these vegetables really brings out the sweetness and flavor in them. 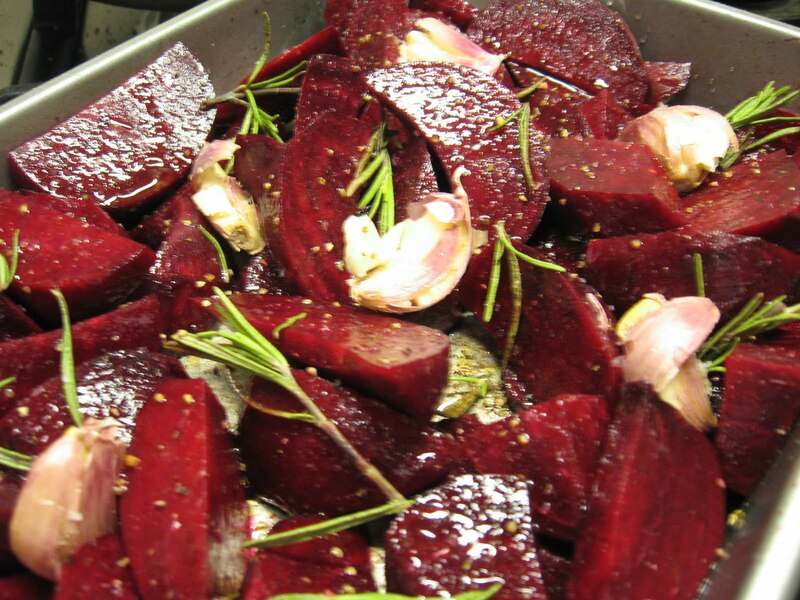 Toss the chunks of beetroot wit the olive oil in an ovenproof shallow dish. 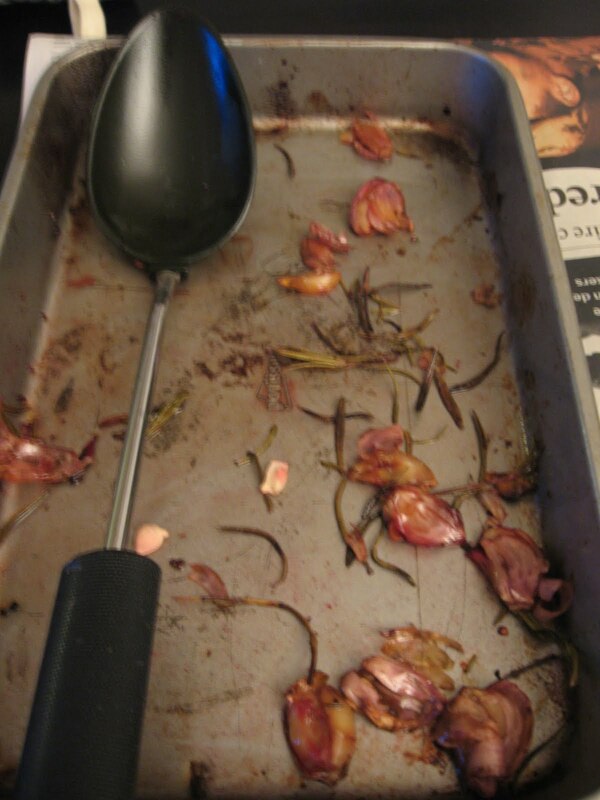 Scatter with the cloves of garlic and rosemary. Finally, sprinkle with a little salt and pepper and a generous teaspoon of balsamic vinegar. Cover the dish with a piece of foil and put in a hot oven (450 F- 225 C) for 40 minutes. Take the dish from the oven and remove the foil. Give the veggies a good toss and place back in the oven for another 20 minutes.